Globe Plan 999 is the most popular and most in demand postpaid mobile plan patronized by fellow Filipinos because Globe offers amazing freebies and promos attached with each plan. Plus the user and subscriber can choose the perks and items he wants for the plan. iphone 4s, Blackberry Curve 9300, Nokia Lumia 800, Samsung Galaxy Note top the list in this Globe My Super Plan. Here, I’ve added more phones. In this page, I’ve summed up all mobile phones list so you can see them all in one page if you want Globe My Super Plan 999. Just choose your phone and see the price. The price is updated today, 2012. Before you grab your desired phone and postpaid mobile plan, you must know the requirements in availing and application of the Globe My Super Plan 999 to all devices and gadgets I listed in this page. Aside from the P999 per month payment, you’ll get freebies and have the option to take add-on boosters you want to consume like unlimited call and text or unli internet surf services. Take note that the cash out is paid only once and the P999 is paid every month in the 24-month period. The plan includes 3 freebies and awesome choices of boosters. You may avail this once you pay the plan in the Globe Center near you. iphone 4s is amazing as it’s so clear and clever plus I love the front camera and Siri. If you can wait still. 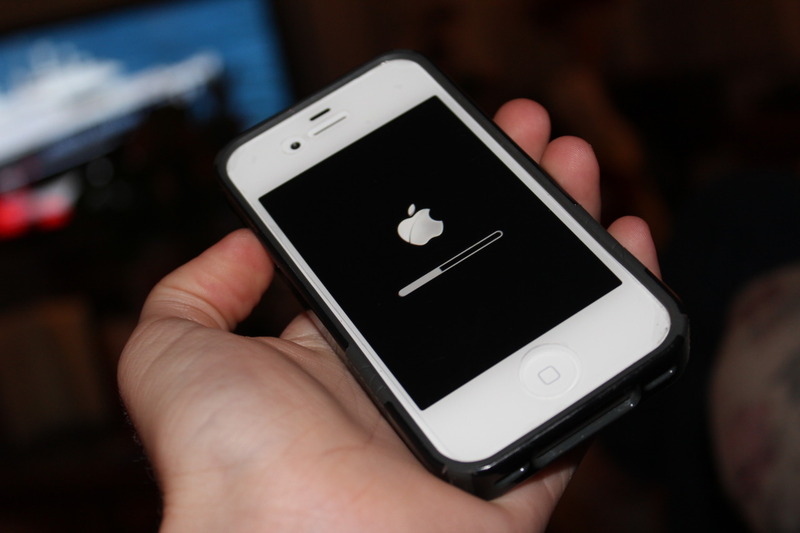 iphone 5 is said to be coming on September 2012. We’ll see. Globe Plan 999 for Blackberry phones must be availed with BB service subscription within the contract too including BB Chat, unlimited BBM, BB Social, BB Max and the like. Just ask your Globe service assistant for this when applying for your postpaid plan. Again, the cash out is paid only once. I will post the update about Nokia Lumia 900 soon so keep coming back here. Nothing but P999 per month, no cash out. This plan includes free subscription to Powersurf for the 24 months lock up contract. Available pa po ba ang blackberry sa globe? If officialy member na po ba ng plan , kung kukuha ulit kailangan paba mg-submit ng bagong requirements? maam , pwd po bang mka avail ng globe plan .. im still a student maam but kaya ko namang magbayad kasi yung ate at mama ko ofw ..
hi Maam! im just asking if pwede po ba yong unit lang ang e plan without freebies.. is it possible? Hi. Tanong lang po kung pwede kumuha ng gadget sa wifi. 999 din po yung plan. If ur working in a BPO company more than 15k poh ung salary mai chance poh ba ma approve if mag apply nag plan 999???? payslip lang COE and any goverment ID pde ba yun???? mam gusto ko sana po mg plan ng sony xperia . nag wowork po aq s dagohoy hotel 9500 per mnth po sweldo ko kaso wala po aq valid id at other req. meron lng aq sss number .anu po b ggawin ko ? 999+Cash out ? Anu po ibg sbhn non ? HELLO i just wanted to ask maam/sir i have already requirements to be submit except 1 PROOF BILLING STAY IN PO KASE AKO sa tinatrabahoan ko then ano po kayang ibang option or other na pwedeng kong submit…..
i have a question po. Ask ko lng po sna if pwede po ulit mg apply ng plan for globe..pro nkkuha n po ako ng plan at nareceive ko n yung gadget..bale magaapply po ulit sna ako. Pwede po b yun! Kahit hindi pa tapos yung contract? Tnx poh!! Hello ask ko lang po if pwede po ba magplan without payslip, yung tita ko kasi magpaplab pero hindi siya nag work, pero she has a credit card kaso 10k lang ang creditcard limit. May valid id din siya. Pwede po kaya yun? Sa sun sya magpaplan. Wat if kung working studnt kalang,peo kaya mu namang mangbyad. Gusto ko po sana mg apply ng plan from globe i have 2 valid id and 2 payslip lng po. Pero wla p po kc akong certipicate of employment..pwede n po b yun at mg kno ang cash out. if makukuha na yug phone i want nokia lumia 1320. Tnx! what if meron na akong cp tpos gusto ko mg plan ng wifi magkano bbyaran ko per month..? What if i already had a cellphone? Iwant to have a plan po sana kaso meron na akong cp na magagamit. Magkano po babayaran ko every month if habol ko lang surf the net text and call? Hi..What if i dont have credit card yet but i have my company ID and payslips.. Is it possible to avail? Thank you for the response. Very much appreciated..
Mam ung valid id lng nmin ofw asawa ko diplomat kc sya. Visa id,tin,passport,pano kung wala syang payslip and creadit card. Through bank kc sahod nya sa sweden. What if di mo natapos ang 30months na pag byad ng smart plan kailangan mo ba ibalik yung 4s? Nope, you will incur penalties and it will grow and grow until you paid it in full. That would be a bad credit in your name. Wat po ba mga requirements para sa plan 999..ok nabba ung credt card and valid id no need na po ba ung proof of billing? paano kung payslip, sss # , valid id,company id pwede nba ung mga requirements nayan? mkakapag plan 999 naba ? pno kpag walang credit card at walang work but kaya nman mgbyad monthly ? Paano po page student ka. Pero. Kaya. Mong magplan?? may down payment ba pag mg plan ? You must apply personally if you want a Plan. I suggest you just buy a phone and avoid a Plan. It’s actually better. hi. what if students plang? what is the requirements needed. ? ah ok thanks! btw, may cash out yun? thanks uli! i had pass yesterday all the needed requirements but the agent advice me to bring 999php upon claiming the unit if my application is approved.do you really required to pay such amount upon claiming the unit? what if. . volunteer worker pero kaya po mag avail ng plans like 1799/month + cashout? Have you tried applying again sa ibang Globe center? pwede po b ako mg avail sa globe plan , khit ala po ako payslip, ung husband ko po ang ngwwork abroad. pano po. Papanu kung 3k lang yung salary at saka walang credit card pero kaya naman mgplan? what if i don’t have credit card? is it possible to avail plan without credit cards? Yeah it is possible because Smart and Globe accept payslips to prove the applicant’s capacity to pay. Credit card though makes it all easier. ma’am, paano po pag, wala kang work pero ang asawa mo lang ang mayron sa abroad? at kailgan po ba makumpleto lahat ng nasa requirements o kahit may kulang pwedi? if nasa abroad ang magbabayad..and wala akong work..how about the requirements?